Some people are trying to let things go, but others say they will never forget. It was the sweet potato harvest season, so Ha Thi Quy woke up early to find a good spot in the village to dry slices of the delicately flavored tuber to sell. She noticed some American soldiers in the village, but that didn't alarm her. 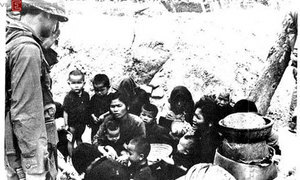 “There are no Vietnamese troops here, so why should they start shooting?” Quy recalled her self-assurance in a bitter question that she still has not found the answer to. 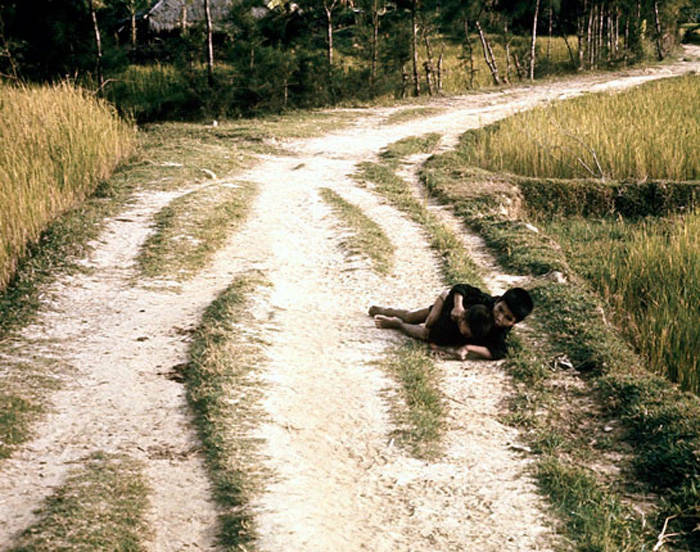 The My Lai Massacre, named after the fated village in the central province of Quang Ngai, left 504 civilians dead and crystal clear images embedded in the minds of the few who survived, many of whom still have no space in their hearts for forgiveness. Not yet. The Unites States committed the mass murder weeks after the Tet Offensive, when more than 80,000 soldiers from the north and the Vietnam National Liberation Front (NLF) launched surprise attacks on more than 100 cities and outposts in Saigon and throughout southern Vietnam on January 30, 1968. 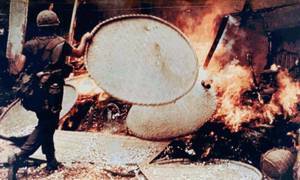 American intelligence believed that the guerillas who had attacked them had taken refuge in My Lai. Captain Ernest Media of Charlie Company ordered his troops to target the village and kill anything “walking, crawling or growing,” according to records. The soldiers entered the village on the morning of March 16, finding only civilians, mostly women and children. The villagers were South Vietnamese, nominal allies of the Americans, and were completely unprepared for an attack. Quy said that she told the American soldiers there were no North Vietnamese troops in the village, but they refused to listen. They broke her water jar, smashed her pots and turned their guns on her, her mother, her daughter and a relative, forcing them to walk into an open field. Her 17-year-old daughter was clinging on to her for fear of being shot dead. But Quy remained calm at that moment, still innocently thinking of the American soldiers she had met before who had done nothing bad to her. The U.S. Army's Criminal Investigation Division later confirmed there had been deadly shootings, mutilations and multiple rapes of women and children. 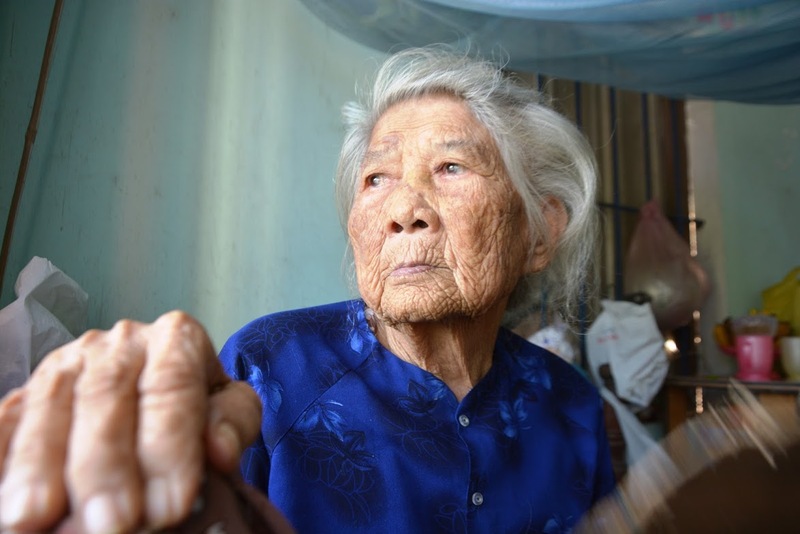 At 93, Quy can still count the dead people that she knew on her fingers, including her mother and daughter. She survived by hiding under a pile of bodies, bleeding with injuries to one leg and her buttocks. She was pulled from a ditch by a little girl who had left the village that morning to go to a market several kilometers away, only to return to chaos, her house burned down and her mother nowhere to be found. Quy’s memories of that fateful day come with a mixture of smells: fragrant young rice, burning houses, dried potatoes and the stench of blood. 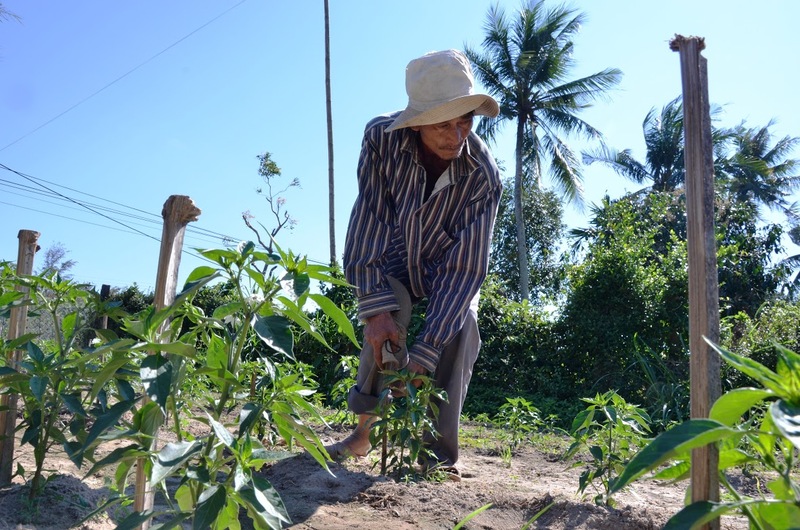 Do Ba, another survivor, also remembers the sweet potatoes. The 9-year-old was carrying his younger brother around the village, with sliced sweet potatoes laid out to dry on every corner, when helicopters suddenly appeared in the sky “like dragonflies”. “The gunfire sounded like thunder,” Ba said. His mother and brother were killed in a series of gunfire. Eventually more American soldiers arrived and plucked him up from a pile of corpses, but put him down twice as they continued searching for survivors. It was only when they picked him up the third time that Ba felt safe, that they were not going to kill him. 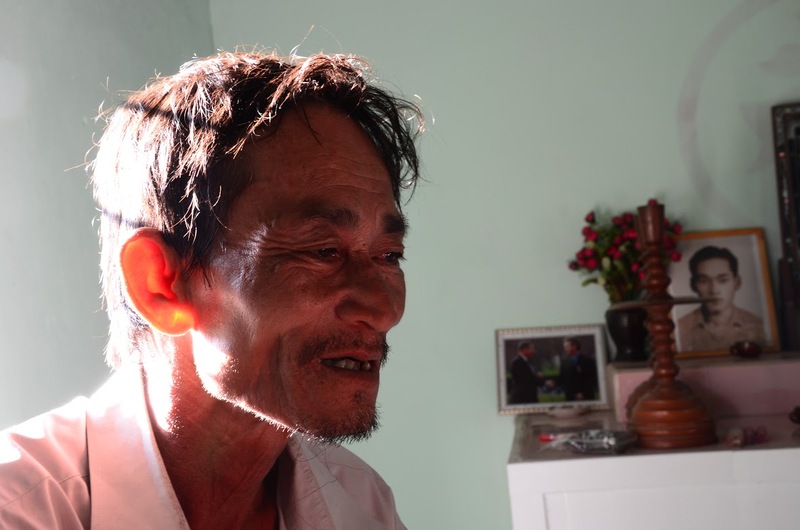 He was flown to Chu Lai, around 50 kilometers away, for emergency treament, and then taken to his relatives' home several kilometers away from My Lai. Ba went back to school but dropped out after ninth grade and went to work in Saigon where he got caught up in the rat race and little time to think about the past. But every March, the memories return as if it was yesterday. During a commemoration of the event in 1998, Ba was put on a flight to Da Nang, where the American troops first arrived for the Vietnam War. There, he met two of the three American men who had saved him. They were Hugh Thompson and Lawrence Colburn, but with his poor English, Ba just referred to them as “fat Dad” and “thin Dad”, a way to remember the men who gave him a second chance at life. The other man, Glenn Andreotta, died several weeks after the massacre. Thompson, then a warrant officer one, was flying a helicopter with door-gunner Colburn and Andreotta as his crew chief, when they witnessed what was unfolding in My Lai. They reportedly tried to call off Charlie Company from the lethal assault, and finally managed to save more than 10 people. On the 30th anniversary of the massacre, the three were decorated with the Soldier’s Medal, the United States Army’s highest award for bravery not involving direct contact with the enemy. Ten years later, the My Lai survivors received an apology from Ken Schiel, one of the soldiers who fired at them. “I was part of the Americans that landed here in the helicopters. 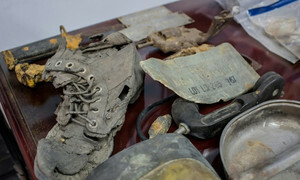 And I want to apologize to the people of My Lai,” Schiel said as he visited a museum dedicated to the victims of My Lai in December 2008. He has not returned since, and nor have any other American soldiers involved in the massacre, including Lieutenant William Calley. Calley, a platoon leader, was the only soldier convicted of the mass murder, although 26 were charged with criminal offenses. 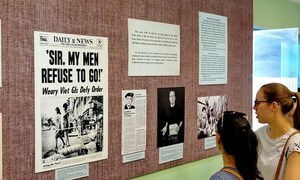 He was found guilty of killing 22 villagers and was originally given a life sentence, but served only three and a half years under house arrest after President Richard Nixon commuted his sentence. He made a public apology while speaking to a small group near a military base in Georgia in late 2009. More than 60 American veterans who were not involved in the massacre are expected to visit My Lai this year for the 50th anniversary of that tragic day. A monument that once accused “The United States Empire” of the atrocity has been has changed to simply say “American soldiers”. “They came here when they were in their twenties. Now they are all over 70, if they are still alive. There’s not much left to hate,” Ba said. 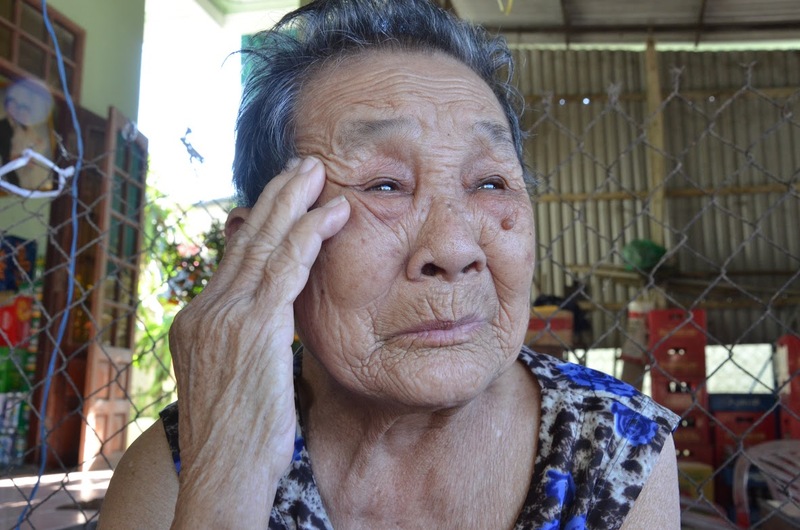 The My Lai survivors do not find it easy to let things go, at least while they can still recall the images and can illustrate the atrocity with body language. But they agree that it’s time for a change. Man, Ba’s neighbor, held out his arms to mimic a gun as he listed nearly 100 family members who were killed. Letting go is harder for the mourning mothers. Truong Thi Le, another survivor, who lost 11 family members, cried during most of her story, saying she still feels “hate”. Le and her youngest son survived that day by managing to find a place to hide. “He was crying so loudly I had to tell him to stop or they'd shoot us,” she said. She held him in front of her “dead” house until a young man from a nearby village came to take them away. She only returned after the Vietnam War ended, fearful of more attacks. “The Americans who did not shoot at us have come to visit. The ones who did have not,” the 89-year-old woman said.